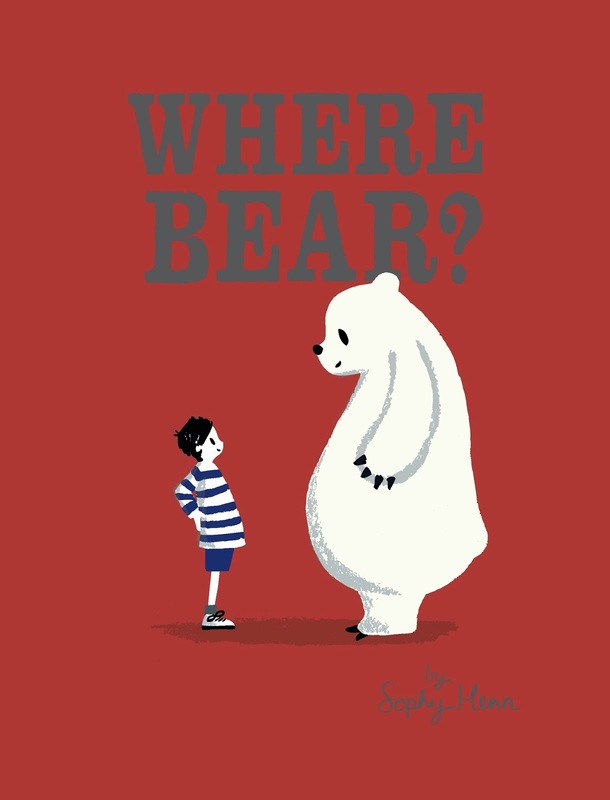 In recent months we've received a trio of fabulous new titles from Puffin's picture book team. Synonymous with quality literature, the famous Penguin logo adorns the spines of a spectrum of classic books, and the mighty Puffin is no less discerning. 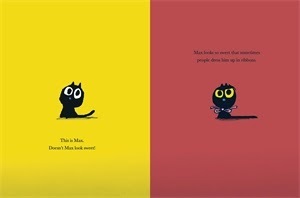 The two hardback books we received in particular; Max The Brave by Ed Vere, and Where Bear? by Sophy Henn are stunningly designed books with immensely strokable front covers. They ooze quality and are each filled from cover to cover with bold and beautiful coloured background paper. These are the sort of books you want to display, and their illustrations could happily grace a set of framed prints. 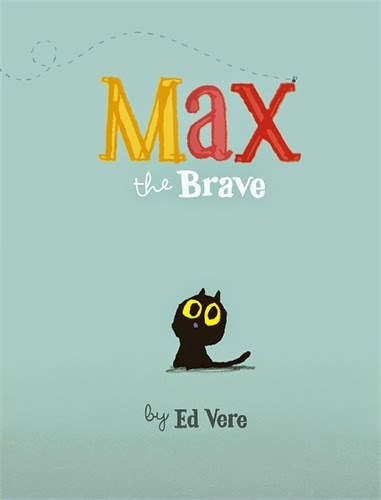 Firstly Ed Vere's Max the Brave was an immediate and long-lasting favourite with Culturebaby. Max is a cute black kitten who has grown tired of looking cute and wearing ribbons. He understands that the general expectation for a feline of his ilk is rather to be fearless and brave. His mission is to chase mice... but he isn't entirely sure of the identity of his prey. He sets off to find out what a mouse looks like, and, as one might expect, Max is diverted by an array of other potential victims in the direction of the elusive rodent. Will his quest be successful and will his bravery last? Written with a humour that my two year old adored, this beautiful book could well become a future classic. 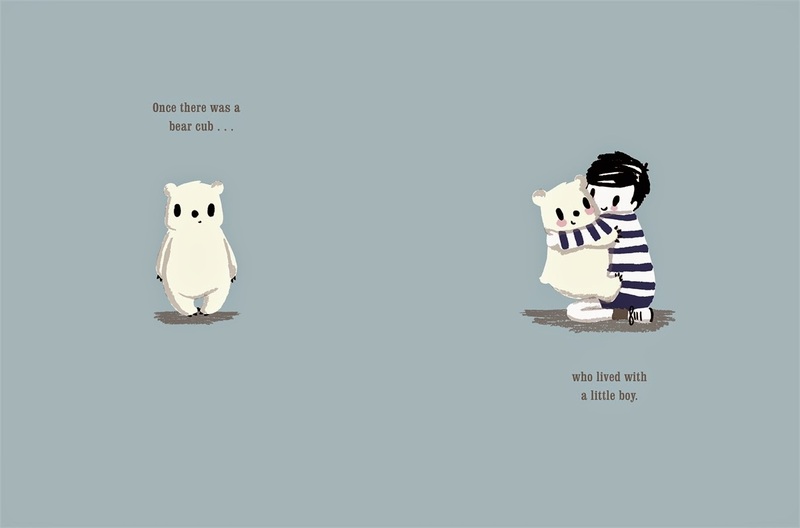 Second is the stunning and heartwarming tale of a boy and his bear cub. They lived together as friends, until one day the bear just got a little too big and, well, bearish. They decide that the time has come to find Bear his true habitat. But Where Bear? 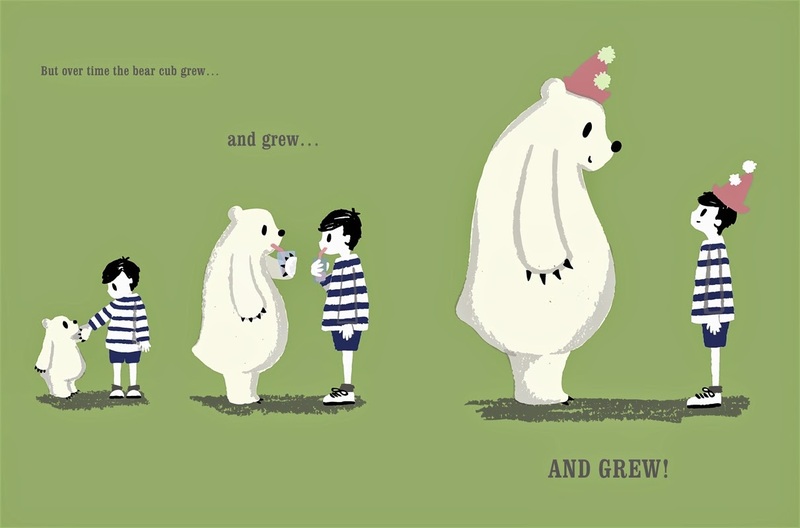 With a repeated chorus and simple images, this book is perfectly pitched for a toddler. It also has deeper messages about the nature of friendship, differing needs and contentment. Ultimately the two must live apart, but their friendship remained important. I've been hugely impressed in observing the strength of a long distance relationship between one of my best friend's daughters and her closest friend. The former had to move away to Devon and the latter remained. At the age of six, you may expect them to mourn and move on to new groups and transient couplings, but almost a year on, their friendship is proving as strong as ever. They visit each other, speak on the phone and are still utterly delighted to spend time with each other when they are able. It is heartwarming to observe. This book could be an excellent gift for any child in a similar situation. 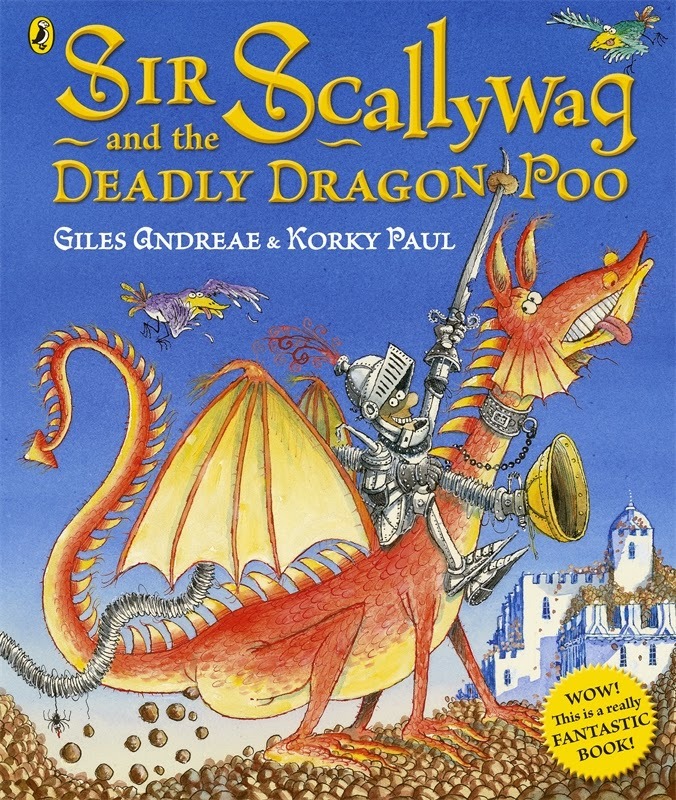 Finally, taking us slightly by surprise with its wonderfully complex illustrations was the wildcard of the pack: Sir Scallywag and The Deadly Dragon Poo by Giles Andreae. 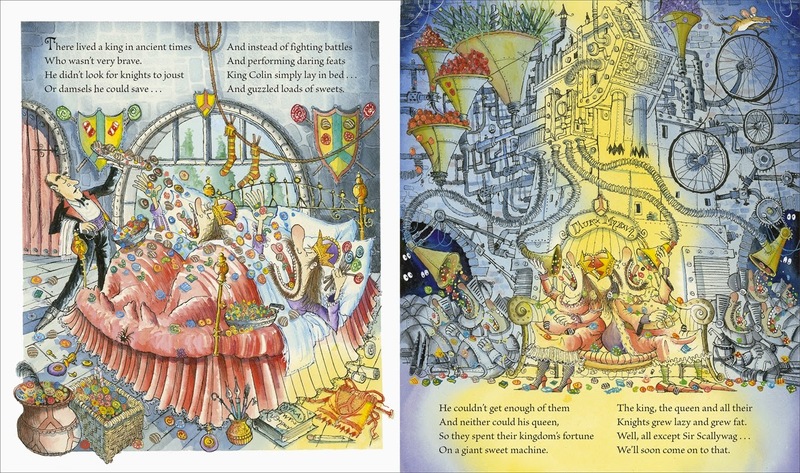 Before I knew it I was knee deep in monster mess and my daughter was hooked on this ridiculous tale of revolting sieges, lazy knights and projectile muck. Toddlers, as I am swiftly discovering to my peril as I currently wade (literally) through the detritus of potty training carnage, find toilet humour hillarious. The chorus of "I want Dragon Poo!" was well rehearsed at bedtime for a good couple of weeks. Go there if you dare. Disclaimer: Penguin sent us copies of these books for review purposes. All views are, as always, my own.